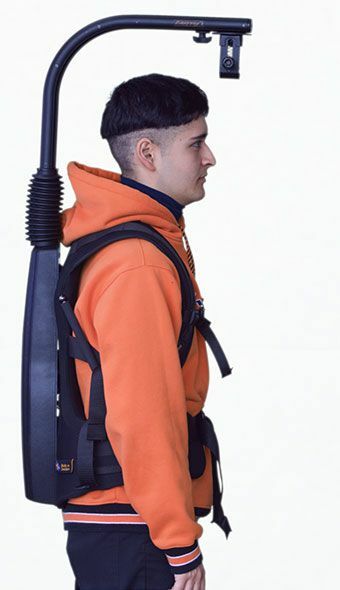 The Easyrig Vario 5 with Gimbal Rig Vest and 9″ Extended Arm is a body-worn support system that is adjustable to support camera rigs weighing 11 to 38 lb. 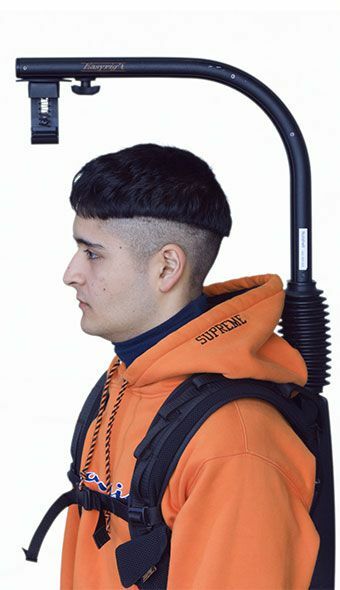 The system works by using a suspension line to support the weight of the gimbal rig, taking the load off of your shoulder, neck, and arm muscles, and distributing it across your torso. 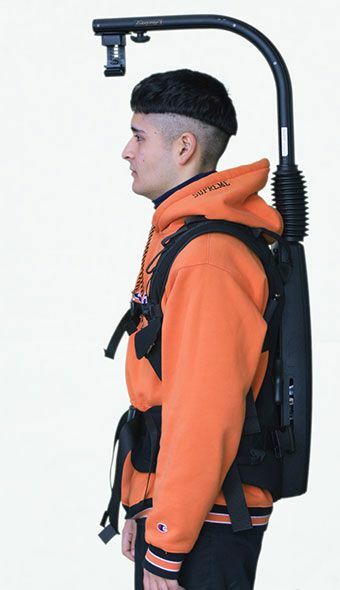 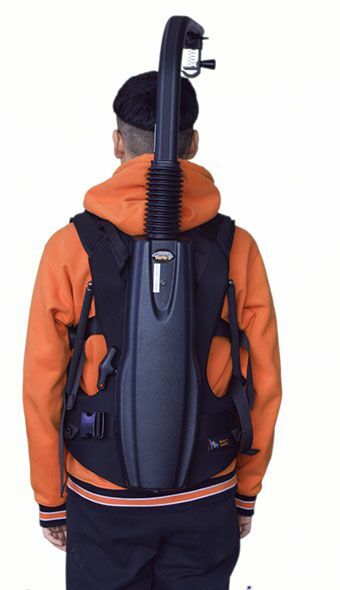 As the name suggests, the gimbal rig vest is optimised for use with motorised gimbal stabilisers, providing increased lower back support that allows you to carry weights further away from your body.